Not only should your ads tell the truth, but what you are offering should also be fairly easy to accomplish. Whether you are giving something away or having a sale, you should make it very easy to do. Here’s an example of what not to do. Ralphs and Shell have been advertising their 10 cent deal for quite some time. I visited Shell and saw no place to scan or enter a Ralphs club card. A big sign said bring in your receipt to Ralphs for double rewards points. I did so, but the checker at Ralphs says the receipt was missing the proper numbers. The manager said the same thing. “Go back to the Shell station to get the proper receipt”. Yeah, I’m going to go out of my way to do that. The result: this blog post. Bad karma for Ralphs and Shell. It probably won’t have any real effect but I feel better and I got a post out of it. If you run a small business, the best thing to do is to back up what you advertise. Even if you lose a little money, it’s better to make a customer happy than to have them bad mouth your company online for all the world to see. 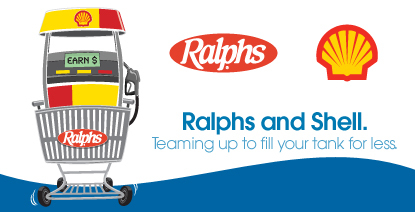 I will continue to go to Ralphs because it is convenient and I’ve been going for years. Overall, I like the store and it’s products and prices. But unless it’s an emergency, I will avoid Shell. Why Shell and not Ralphs? Not only did this Shell not have the proper receipt, but they advertised one price for cash on their big sign, and another price for credit on a little sign I did not see. Plus they put a tiny little notice on their pump saying the cheaper price was for cash only. Not a good idea to tick off your customer. I will not be back. At least not at that Shell station. Social media is everywhere. With places like Twitter, Facebook and Yelp to voice your opinions of companies, it’s always best to follow through on your promises and don’t tick off your customers.